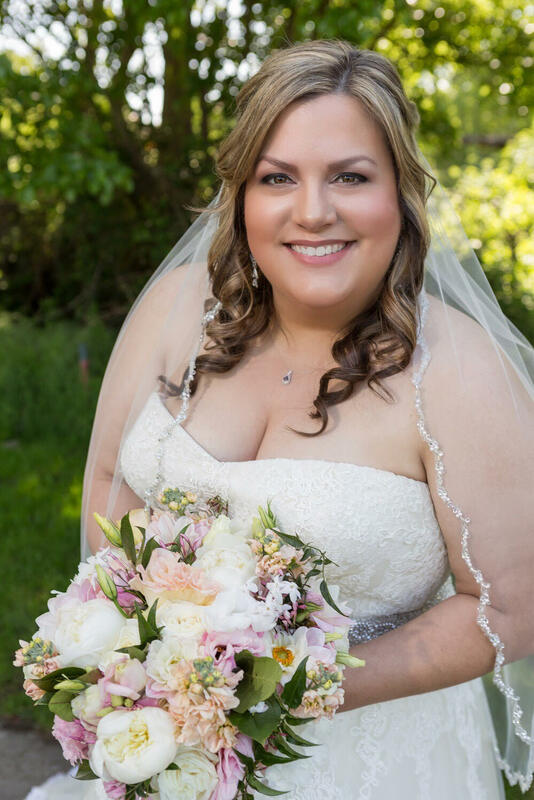 All of my bridal bouquet recreations in silk flowers are special, but there is just something about Adam's 1st Anniversary Bouquet order that was a little extra special. 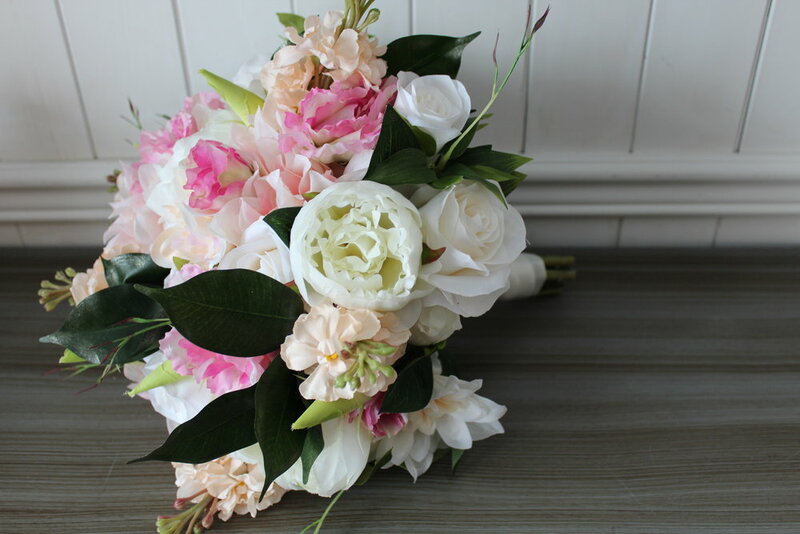 Maybe it's the cream Roses, peach Stock, Cafe Au' Lait Dahlias, cream Peonies, or the pink Lisianthus? Maybe it's all of it together for his sweet bride! 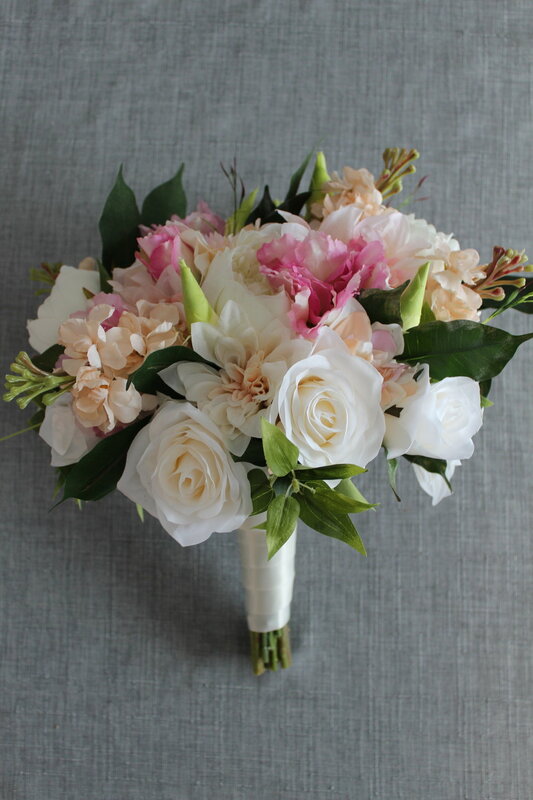 Here's a few photo of the original bouquet provided by Rita Temple Photography out of California. Adam knew that the special wrap and broach was saved after his wife's bouquet had lost its luster. So we wrapped the recreation in a simple satin ribbon so when he received it, he could add the lace and fabric wrap and broach as another part of the surprise. 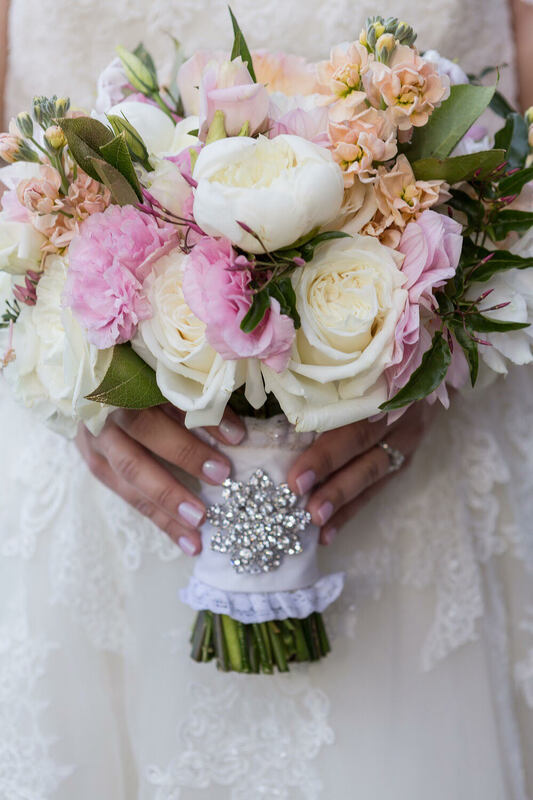 Whether it's your first anniversary, like Adam and Blair, or your 50th, a bridal bouquet recreation in silk flowers is a timeless treasure to give to that special lady in your life! Contact me today to find out how to get started!